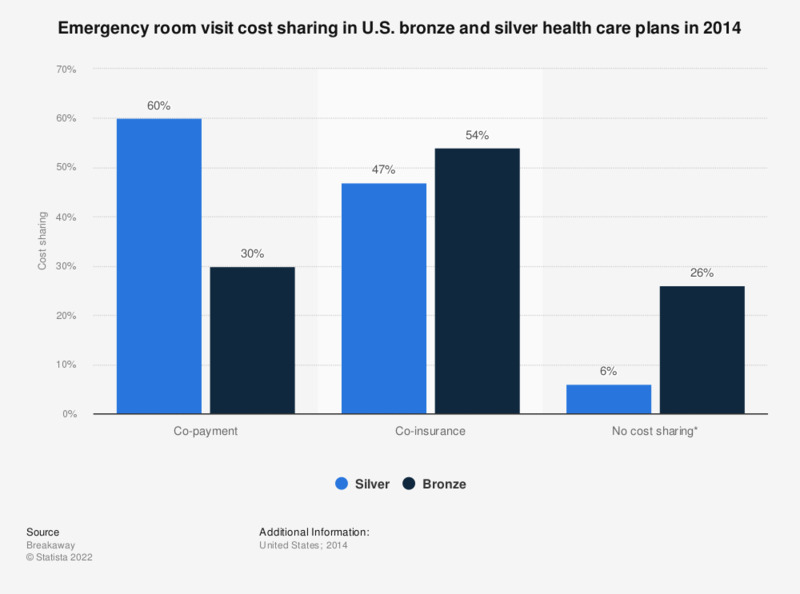 This statistic displays the cost sharing of emergency room (ER) visits within bronze and silver health care plans in the United States as of 2014. Some 60 percent of silver plan ER visits were charged through co-payments. A co-payment refers to a fixed amount that is paid when one receives a covered service. A co-insurance refers to the insured's share of covered health care service costs, as a percent of the allowed amount for the service. *No cost sharing: plans charge 0 dollars, 0 percent, or list "no charge" as applicable cost sharing for an individual. Usually applies after the deductible has been met.